The first question you ask yourself when you notice limping with your cat movement is: Why is my cat limping all of a sudden. That seems to be a perfectly normal reaction as a cat owner. Several places could be affecting the cat but might not be able to signify through its meow. These places might be its paw, joint or even the muscle. This is why it is quite essential you take your time and understand where the problem might be to proffer a quick and effective solution to it. 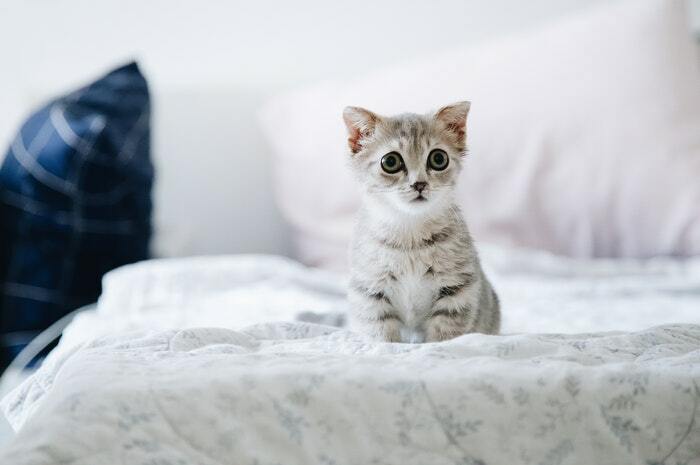 Some of the causes of limping in your cat might be due to just a minor domestic mishap; something probably got stuck in her pawn or even a slight strain in its muscle. The best time to inspect this problem is when the cat is lying down or in rest mode. This you can now inspect its pawn for any kind or redness, swelling or signs of pain when you notice that anytime you touch that particular spot, your cat meows. Another way to figure it out is when you notice your constant cat licking of a specific spot in its leg or pawn. You might need to inform your veterinary doctor to take a look at the cat to prevent possible infection. This either you request for home service, or you take the cat down to the clinic. Cats are fond of jumping through an open window. It is, and it might lead to a leg injury. That is why it is essential you always close your window when out of the house. Not just that, high perches in the house such as top shelf and very high kitchen cabinet can cause high rise syndrome in a cat. Always limit its access to such places to prevent any leg injury. Medically speaking, if your cat is an old one, it may be who has arthritis. This may cause stiffness or paint in the joints which ultimately prevent your cat from taking any jump. Many at times, pet doctors always recommend a change in the diet or even adapt to the situation by getting a lower spot corner in the house for such a cat. One thing you also need to know about the cat is their nature at perfectly hiding pain. You can only notice when the pain is getting severe. That is why it is essential you take your cat sometimes for an x-ray to prevent long term damage. Always involve your vet to know the possible cause of that particular injury so that you can avoid it in the future. When your cat is in pain, getting it to the vet could be challenging. That is why these tips will come handy when you find yourself in such a situation. • When trying to coax the cat into a carrier, always try and use a blanket or probably one of the shirts of you that always attract the cat. This will make it easy to snuggle it up into the carrier. You can also make use of its favorite toy. • If the cat refuses to enter the carrier on its own, refrain from forcing it into the carrier. The best thing to do at this point is to exercise patience and assist it gently. This will assure the cat of possible concern from you. It will also prevent you from a possible bite in the cat defense or incurring more injuries to the leg. Use the warm blanket and wrap up the cat gently into the carrier. Always limit your cat movement when you notice possible leg injury. This will give you time to assess the situation, find a solution and allow it to heal up quickly.